From a Starbucks (SBUX) coffee to a scoop of Ben & Jerry's, Election Day freebies have long been the rage. This year's giveaways are a little more low-key, no doubt as a result of the economy and the ongoing debate over whether freebies count as (illegal) voter incentives. But don't be fooled by the lack of massive campaigns: Retailers of all stripes are still offering savings to customers who can prove they've cast their ballots. From the serene to the bizarre, there's something for everyone. Free rides to the polls are nothing new, and this election will see no shortage of transportation options throughout the country. Two taxi companies in Utah are offering Latinos free rides to the polls through election day. The Ride to the Polls Coalition, a nonpartisan nonprofit project in Minnesota, is offering fully accessible van service for all area residents. And Zipcar (ZIP), the tiny green giant, is running Zip to the Polls, a 50% off promotion for members longing to get to (or away from) polling locations. Members don't have to prove they've voted to take part in the promotion, but Zipcar is actively promoting voter registration and encouraging the rates to be put to good use. Every red-blooded American who has ever uttered the words "If my guy loses, I'm moving to Canada" might be interested in JetBlue's (JBLU) Election Protection promotion, which allows website users to pick a political party and choose a sunny island destination. 1,006 round-trip tickets (that's 2012 seats) will be given out to people who chose the losing candidate. It's not the only budget airliner with election-themed marketing: Spirit Airlines (SAVE) recently ran a "Binders Full of Sales" promotion with fares "women will love." From free sushi in Houston to discounted room rates in Florida to a free pint in D.C., restaurants, bars and hotels throughout the country are offering election-night specials. The most common? Extended happy hours with half-off food and drink specials. Throughout the Washington, D.C., metro area, fitness outfitter lululemon athletica (LULU) is partnering with local yoga shops to offer free classes. And capital-region residents know that after the past two years, having a quiet, election-free space is priceless. It's difficult to imagine an election day event more patriotically themed than American Celebration on Parade, in Shenandoah, Va. From the company that makes the floats for inauguration festivities, as well as the NATO, Nuclear Security, and G20 summits, view 27 giant pieces of American history, along with assorted memorabilia, at discounted rates on Nov. 6 with an "I Voted" sticker. Kids under 14 get in free. Our right to pick the next president is its own reward. But celebrating that right with yoga, a friendly pint or a raffle has its perks. Many companies may offer off-the-radar specials, and asking is always free. And the sticker that will get all those savings? That's free as well. Motley Fool contributing writer Molly McCluskey owns shares of Starbucks and ZIpcar. Follow her travel and finance tweets on Twitter @MollyEMcCluskey. 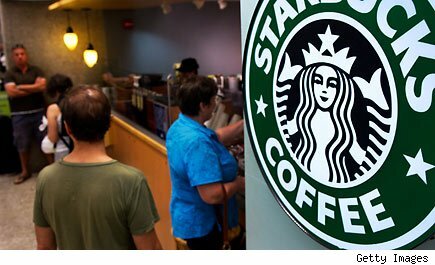 The Motley Fool owns shares of Starbucks, Zipcar, Spirit Airlines, and lululemon athletica, and has written puts on Starbucks. Motley Fool newsletter services have recommended buying shares of Starbucks, Zipcar, and lululemon athletica.